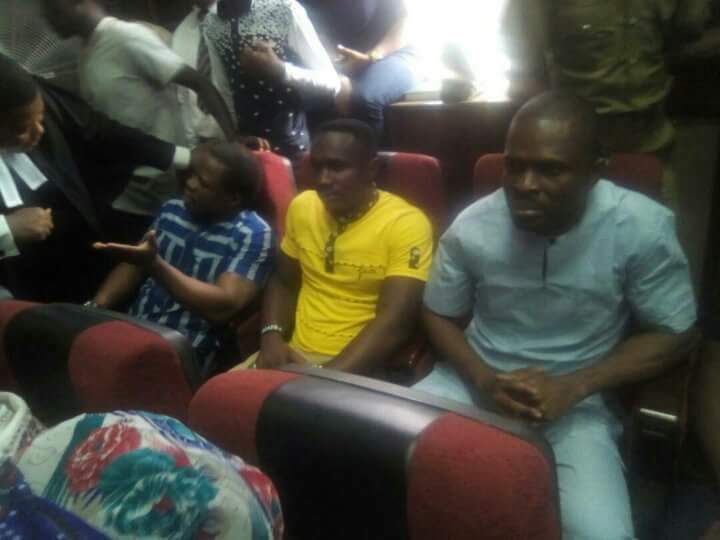 Our beloved brothers who were unlawfully incarcerated in Kuje Prison for not less than two years without trial, Mazi Benjamin Mmadubugwu, Bright Chimezie, David Nwawuisi and Chidiebere Onwudiwe have arrived the Federal High Court, Abuja. Hearing for the fresh Bail applications for the four defendants begins today. Moses Agbo, reporting live from the Federal High Court, Abuja for Family Writers Press.